Several organizations use Office 365 to run their day-to-day operations. Wouldn’t it be easy to keep track of your employee expenses if all your employees and customers are imported from Office 365 to Zoho Expense? With Zoho Expense - Office 365 integration, your employees can create expenses as and when they occur and make them billable to your customers. Make sure that you have an Office 365 account. The email address associated with this account must be same as the one used to log into your Zoho Expense account. Have a different email address? There are two ways via which you can integrate Zoho Expense with Office 365. Open your Zoho Expense account and click Admin. 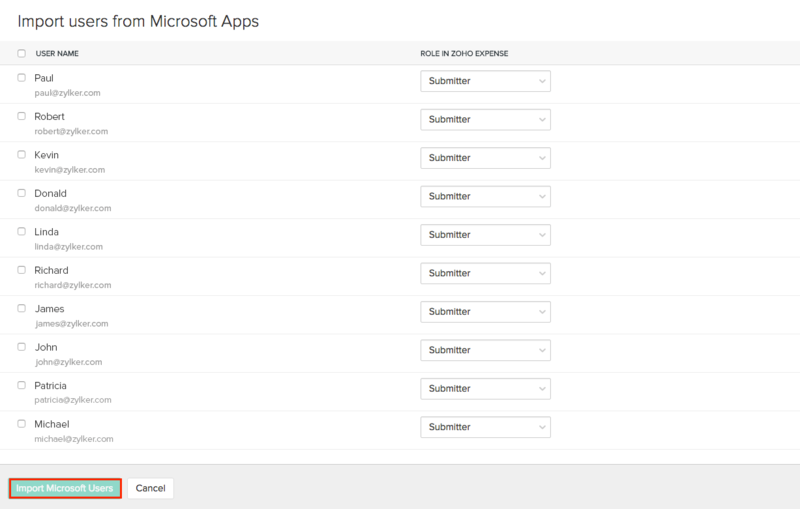 Select Integrations and navigate to Office 365. Study the infographic to know how it works and click Enable Integration when you’re set. You will be redirected to a page wherein you will be asked to sign into your Office 365 account. Once you have successfully signed in, the integration will be established and your contacts and users from Office 365 will be synced to Zoho Expense. 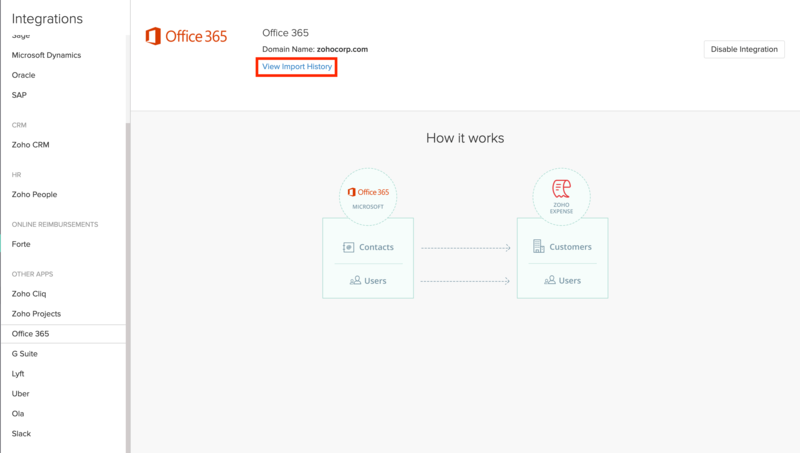 If you have already logged into Office 365 using this email address, then just clicking Enable Integration will suffice. Click on the apps icon on the top-left corner and click on View all my apps. 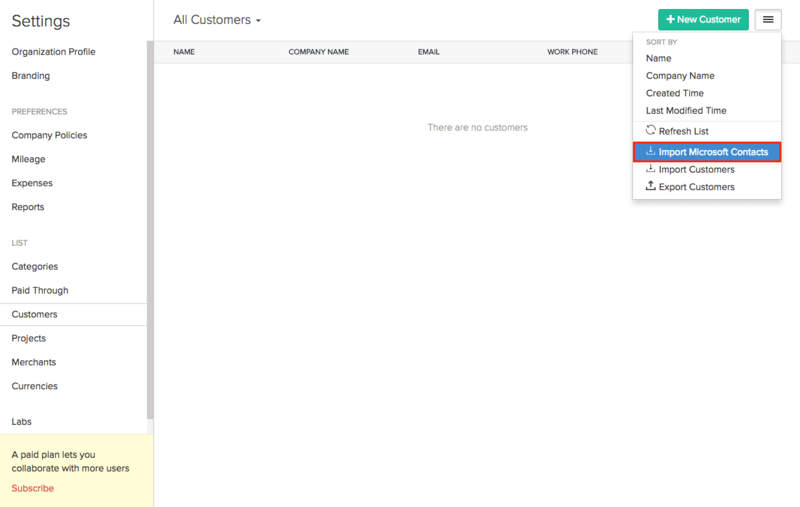 Click on the Store icon and type Zoho Expense in the search box. Zoho Expense app will appear as part of the search result. Click on Zoho Expense and click Add. Now, Zoho Expense will be added to your list of apps. You will now be redirected to the Setup Organization page where you will have to create a new account in Zoho Expense. If you have a Zoho Expense organization, you will be redirected to the Select Organization page. Once your organization is created in Zoho Expense with Office 365, you can directly invite your employees from Microsoft to Zoho Expense. Log into your Zoho Expense account. Navigate to the Users module under Admin section. 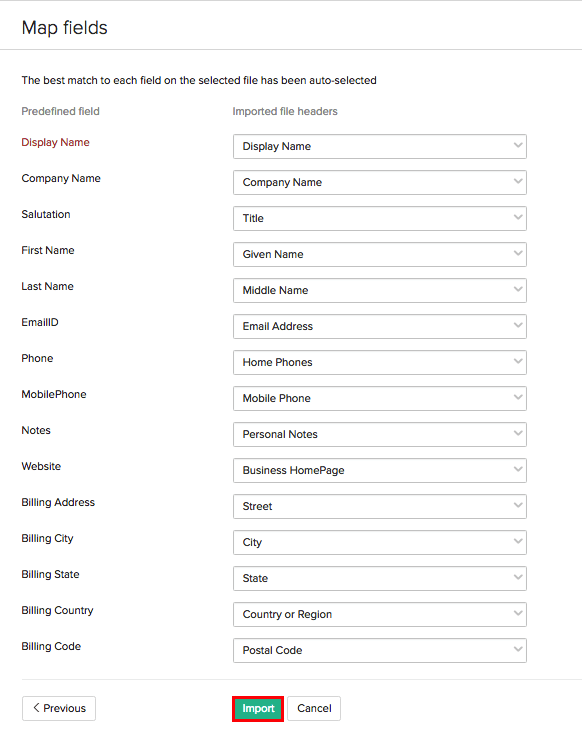 In the page that follows, select the users you want to import to Zoho Expense and assign a user role to these users. With Zoho Expense - Office 365 integration, you can import all your contacts from Microsoft People in one go. Go to Admin > Settings. Click on the Customers section on the left sidebar. 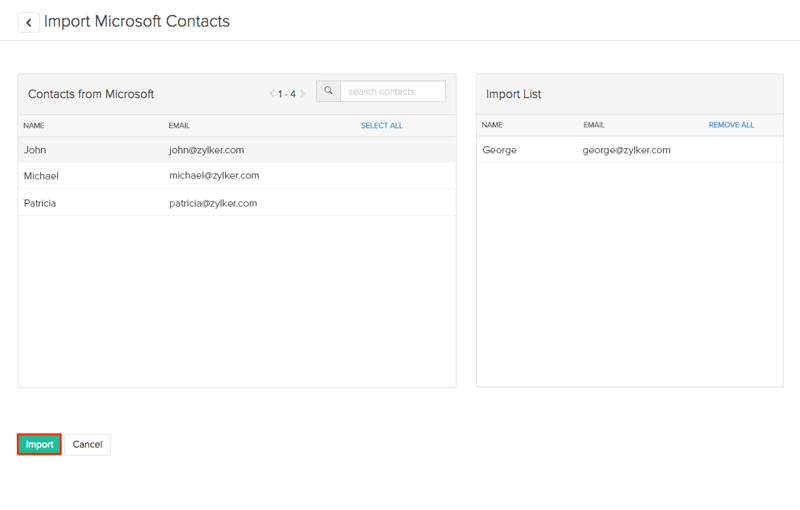 Click on the Hamburger menu on the top-right corner and click on Import Microsoft Contacts. Choose the contacts which you would like to import, and click on Continue. 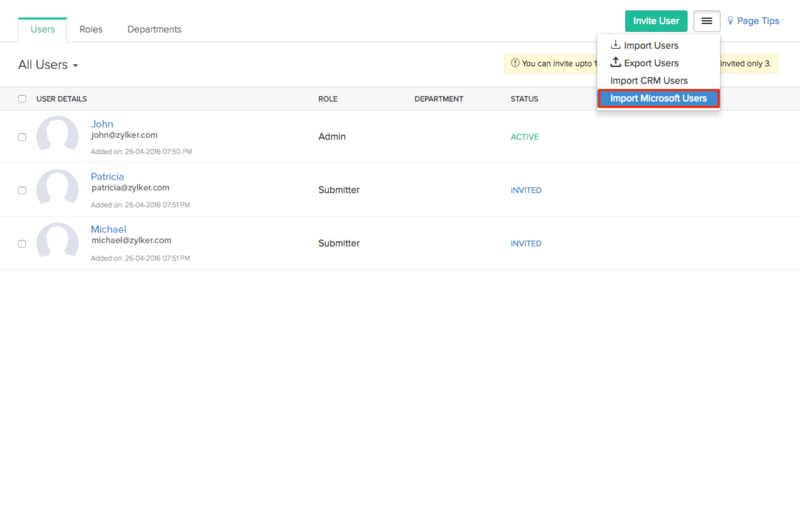 To view the status of Contacts import, click on the View Import History located in the integration page of Office 365.